I am the director of the IT department of an accounting and consulting company that has customers in a dozen states, which are geographically dispersed across the U.S. Our customers use software that we have developed. We’re going to engage an instructional development company to create about 50 hours of training on how to use our products. The video will be stored on a server and made available to our customers on demand. The training development company has encouraged us to use a CDN (content delivery network) provider. However, my boss thinks that additional expense is unnecessary. What do you think? I’m going to assume that the videos are retrieved using a browser or similar piece of software, because that is the most common method. This means it will be using HTTP and TCP as the transfer protocols. The efficiency of the transfer will depend heavily on TCP’s action. The CDN could provide significant benefits. Here is the reason for this deduction. Figure 1 shows the delivery network without the CDN. Each client has a HTTP/TCP session with the content server. Since you mentioned that the customers are dispersed across the U.S., the time for a video segment to be delivered and acknowledged could be in the range of 20-100 ms. This is called the TCP RTT (round-trip-time). The RTT is a significant determinant in the throughput of a TCP connection. The primary reasons for this is that TCP uses a method called slow start. Initially a small number of segments are sent. With each acknowledgement, the number sent is increased. However, if the delay is higher, it takes longer to get each acknowledgement. The rate of increase is dampened. Also, the connection will likely contain many routers each of which buffers each segment. Looking now at Figure 2, we see the clients are much closer to a caching server in the CDN. Each caching server holds a copy of the content. As a result, the RTT is much lower. This means more aggressive slow start and faster acknowledgements across the links between the client and the server. While it is hard to speculate about what will happen in your situation, it is accurate to say that the recommendation of the training development company is based on solid reasoning. 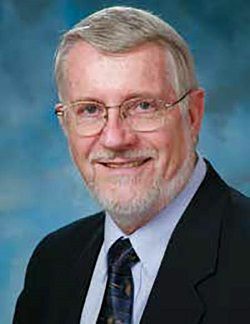 Phil Hippensteel, PhD, is a regular columnist for AV Technology and instructor at Penn State Harrisburg. Stay tuned for April’s inaugural installment of Professor Phil’s Byte-Sized Classes—lessons on IP audio/video.